The GRI Club is a global fraternity of real estate leaders. Members find the club a useful way to maintain valuable relationships, find new business partners, and strengthen their global networks. Through tailor made occasions, its meetings offer a unique platform for the construction and deepening of relationships, development of partnerships, and fostering business. They are also a stage for high level debates on strategic market themes, recognizing the different perspectives of the industry. The Club is by invitation only. If you have such a profile and believe in the importance of building up special relationships for the growth of your businesses we will be happy to discuss your participation in our Club. .
A vertically integrated RE firm, Round Hill is a market leader in the accommodation sector. It has a proven track record of successfully identifying and acquiring high quality accommodation RE with stable underlying cash flows and asset management upside. 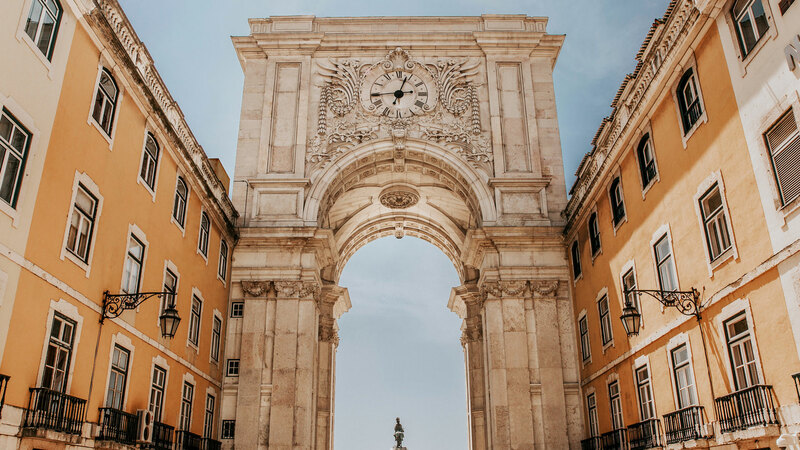 APPII represents the biggest cluster of the most significant companies with activity in the Portuguese RE Industry, such as leading development and investment companies, funds and listed companies, all asset class operators, as well as hoteliers. Vanguard Properties is a leading real estate developer mainly dedicated to residential and touristic projects located in Portugal. Norfin is the leading independent Real Estate investment fund manager in Portugal with €1.5bi of AuM, specialised in investing and managing direct equity participations in Real Estate assets typically via closed-end private equity funds. Square Asset Manager is the leading independent Real Estate Asset Manager in Portugal. Total AUM 1,5 Billion. In Regulated Funds, AUM 1,1 Billion with the largest Open Fund with in excess of 23.000 Retail Unit holders. A member of the MassMutual Financial Group, Barings keeps a strong global presence with over 600 investment professionals and offices in 17 countries. Edward has 10 years of experience in Real Estate Investment and Development across a wide range of sectors and geographies. His career started at EC Harris, working across global accounts for major banking and institutional clients. Edward has been at Round Hill Capital for 5 years and now oversees day to day investment activity across Portugal. Henrique de Polignac de Barros is the Founding Chairman and Member One of APPII – the Portuguese Association of Real Estate Developers and Investors, as well as Founding Vice Presidente of the Portuguese Confederation of the Construction and Real Estate Sector. Henrique as an Economy Degree from ISEG - Lisbon School of Economics and Management and his a 40 years experienced real estate developer. Hugo Santos Ferreira is the Executive Vice President of APPII – the Portuguese Association of Real Estate Developers and Investors and Director of the Portuguese Confederation of the Construction and Real Estate Sector. Hugo is also an Advisory Board Member of SIL – the Portuguese Real Estate Exhibition and of the Portuguese Green Business Week – Smart Cities Summit. Hugo has a Law Degree and a Master in Public & Administrative Law from the Portuguese Catholic University and was a Real Estate Lawyer at the Iberian law firm Cuatrecasas for almost 10 years up until 2014. He is also the author of several opinion articles and chronicles in the main magazines and newspapers in Iberia and other Southern European Countries. João Lélis joined Sonae Sierra in 2004 as an investment analyst, later becoming Director of the Fund Management business. As member of the executive team, current responsibilities include management of the real estate funds co-owned by Sonae Sierra, of the direct investments outside Iberia and transaction support. Prior to Sonae Sierra, João was a consultant with McKinsey & Company and also with Arthur Andersen. João completed the INSEAD – Advanced Management Programme in 2018 and the INSEAD - International Executive Programme in 2010. He also holds an MBA from the Yale University School of Management (2002) and a BS in Management from Faculdade de Economia do Porto (1997). Formado em Direito, pela Faculdade de Direito da Universidade de Lisboa, o CEO da JPS GROUP, Dr. João Sousa, iniciou o seu percurso profissional aos 23 anos, na área empresarial e dos negócios. Foi com estes primeiros passos e contacto com o mundo profissional, que soube que exercer Direito não era uma opção e decidiu enveredar pela área à qual se estava a dedicar com tanto afinco. Como tal, começou a fazer o seu percurso na consultoria de investimento financeiro e imobiliário, percurso esse que veio, mais tarde, a dar origem à fundação da JPS GROUP. Um dos períodos de tempo deste percurso foi passado no estrangeiro, em múltiplos negócios em África, pelos países da América do Sul e na Ásia. Experienced investor in Real Estate. Since the end of 2015, focused in the setup and management of Vanguard Properties, a leading developer, focused on residential and touristic projects. Currently the group has 16 projects under development located in Lisbon, Oeiras, Comporta and Algarve. Vanguard’s is currently leading the consortia that will acquire the real estate funds of Comporta Investment Fund. Since 1988, José has been involved in multiple ventures notably in retail, real estate, technology (software, heading systems, medical, etc.). Significant expertise in Real Estate, Funding, Negotiation and Venture Capital. Undergraduate in Management with expertise in Finances. MBA in International Management. Paulo Barradas is a Managing Director at Norfin SGFII and heads the M&A and investor relations department. He has more than 22 years of experience in the international investment banking industry, of which the last 6 years in London as Head of M&A at Haitong Bank. Prior to that, he was Head of M&A for Energy and Infrastructure and Head of Real Estate Investment Banking at Espírito Santo Investment Bank. Paulo Loureiro is the Founder and Managing Partner of Louvre Capital. Since inception, Louvre Capital’s principals have invested, along with their partners, more than €75 million in residential developments in Portugal. Prior to founding Louvre Capital in 2015, Paulo was an Executive Director at Morgan Stanley in New York, focusing on the oil and gas industry. He started his career with Schlumberger, the world’s largest oil service company, spending six years in Argentina and Brazil. Paulo holds a MS degree (Diplome de Grande Ecole), majoring in Maths and Physics, and received his MBA from The University of Chicago Booth School of Business. Paulo is a Portuguese national, fluent in English, French, Spanish and Portuguese. Pedro Lancastre is the Managing Director of JLL Portugal since July 2011. Pedro has 17 years of experience in the Real Estate sector. He started in 2001, as an Investment Consultant of the Lisbon Capital Markets team at CBRE, where he acted in the acquisition and sale of a number of properties. In 2004, he moved to Sonae Sierra as Deputy Director of New Business in Portugal where he was responsible for the conception of new shopping centres and retail parks. Pedro started his career in 1995 in the Portuguese Bank industry where he performed different roles in two different Portuguese Banks (BCP and BPI) until 2001. Pedro Vicente is a board member at Habitat Invest, overseeing the BBB, sales, marketing, business development and operations departments at the company. He has developed his activity at the real estate industry as head of legal and marketing and asset manager of a state-owned company- EPUL. He evolved to level Constellation, a Chinese real estate fund from Shanghai, operating in Portugal. He is the co-founder of the Portuguese Institute for Corporate Governance and member of the advisory committee. Habitat Invest is privately-held and an independent real estate investment company, founded in 2004, with investments in urban rehabilitation and new born projects. Projects underway in 2019 represent an investment greater than €300 million. Managing Director, Head of SREI Europe, previously worked at Chenavari as Partner, Real estate. Shamik is based in London and part of the MSREI acquisition and asset management team, working on sourcing, negotiating and managing investments for MSREI across all European jurisdictions, with additional responsibility for the UK. Before joining MSREI, Shamik was based in Rio de Janeiro, Brasil, investing in roads and infrastructure in South America for a global investor. Shamik is also a chartered structural engineer. Shamik received a Masters degree in Civil Engineering from Imperial College London and an MBA in Finance with distinction from the London Business School. Shamik is a Portuguese national, and has lived and worked in Europe, South America, North America and Asia. Volkert is presently President of the Board of Directors of GNB SGFII and has over twenty years of international experience in M&A, private equity and real estate. Prior to joining Grupo Novo Banco (GNB), Mr. Reig Schmidt served as a Managing Director for Hudson Advisors. Mr. Reig Schmidt has a Master in Law from the Universidad San Pablo CEU and is admitted to practice in the Madrid Bar Association. Volkert is fluent in Spanish, German and English and has a basic knowledge of French and Portuguese. JLL is a professional services and investment management firm offering specialized real estate services to clients seeking increased value by owning, occupying & investing in real estate.